You no longer need to be upgraded in order to be comfy during flights. 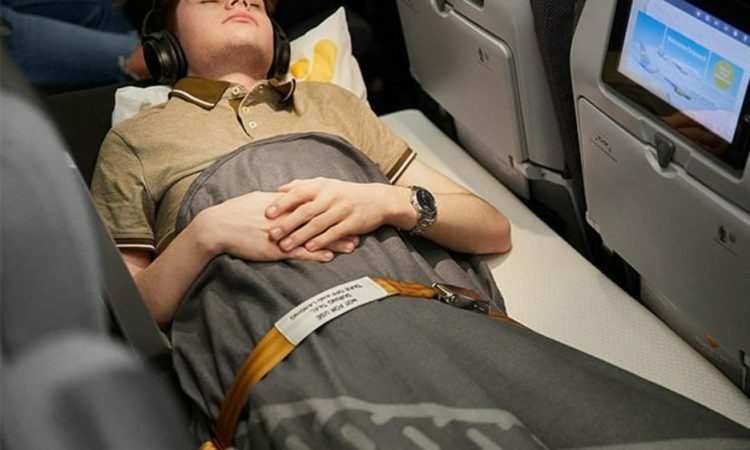 Thomas Cook Airlines is launching “sleeper seats” for passengers who take long haul routes in economy class. Here’s everything you need to know about the comfy new interiors. Thomas Cook has launched the spacious seats on its Airbus A330 aircrafts. These planes, which are used for longer journeys, allow customers to lie across the row. To activate the feature, passengers simply have to push their armrests up. As the sleeper seats are 148.4cm long and 67cm deep, they’ll have plenty of room to relax. These holidaymakers will also be provided with a mattress, fitted sheet, blanket and head rest to make their snooze as comfortable as possible. While the sleeper rows make economy class more comfortable, they don’t come cheap. The fact there are only four of these seats per flight is another drawback. Spots are likely to be booked up fast, so you’ll probably have to pay for them well in advance. Henry Sunley, commercial director at Thomas Cook Airlines, spoke about the launch of the sleeper seats. He said: “We always look for ways to innovate for our customers and sleeper seat is a UK first that we are really proud of. “It is a fantastic way to transform your flying experience and enjoy some extra comfort when flying in economy.